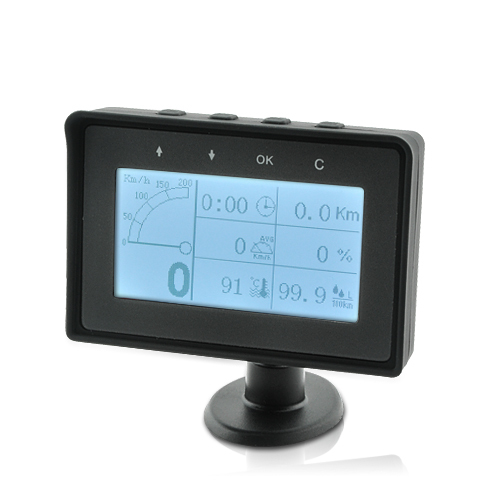 Successfully Added Car OBD-II Diagnostics Tool - Multi-Function Information Display to your Shopping Cart. Car OBD-II Diagnostic Toolset with 3.1 Inch on-dash screen providing you live information about your car. Say goodbye to expensive car check-ups and keep your car safe and running by yourself with our new Car OBD-II Diagnostics Tool! 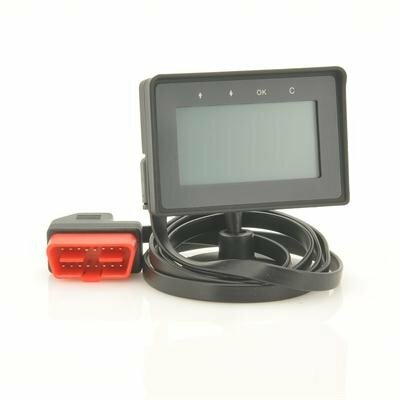 Even the most complicated problem will seem easy since the Multi-Function Information Display on this device will tell you exactly what's going on with your vehicle! The OBD2 code scanner plugs directly into your car with no need for batteries and will read diagnostic data in plain language on the built-in display. The OBD2 scanner can also read the data stream of the engine, so you can immediately self-troubleshoot any problem. Displaying a whole array of information such as Trouble code information to reduce maintenance costs, Vehicle real-time alarm (including: water temperature too high, battery voltage too low, maintenance cycle tip, fatigue driving, overspeed alarm, etc) to avoid damage to your car, Real-time display of vehicle condition information (including: engine speed, intake air pressure, instant fuel consumption, acceleration, coolant temperature, oxygen sensor voltage, etc ). All of these will help you save money on maintenance and keep your car in tip-top shape! For the fastest and most affordable solution to self-diagnostics for your car, look to the Car OBD-II Diagnostics Tool - Multi-Function Information Display. Available in our warehouse now, order today and we'll ship it to you tomorrow. Remember, the sooner you order, the faster you can start saving money on car check-ups! Brought to you by Chinavasion, the leader in wholesale electronics and car accessories. Save on expensive car maintenance costs! Manually updating or altering the software using the 4 pin port will automatically void the warranty. The ODB-II device already comes with the latest software updates installed. Good unit, good functionalities, very clear screen (both in dark and sunlight), valuable information (my car has OBD but no trip computer). * When engine on, but no moving, it generates some crap on the bus that causes my ABS problem light to flash.This disappears when moving. Very annoying. * Check possible extra costs at custom: mine finally cost 50% more than initial price due to custom rights in Europe. I've ordered the OBD2 that looks much much cheeper than the huge diagnostic unit i used to see at technicians in my area. However, all handy functions, easy use, great quality and briliant size make it really recommended to any car owner to buy and never waste time and mony at technitians to check up. on 2011-07-26 10:23:36 Is what i advise every one to have. according to the explanation of this item i think i should have one and i advise every that has car to have one also. on 2011-06-11 16:08:09 very good buy! this is one of the best Car OBD-II Diagnostics Tool i have order no laptop not everything very good brightnes and the colour of the screen is white the one i buy it seem at the photos like blue it is clear white very nice!!! very fast dellivery!!!!! !